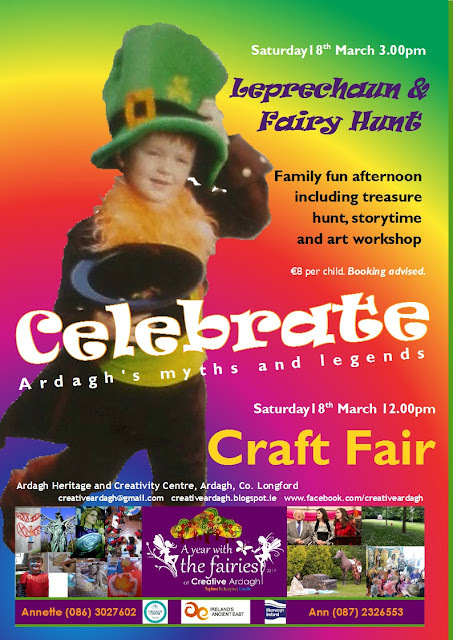 It is nearly time for our annual Craft Fair and Leprechaun and Fairy Hunt. 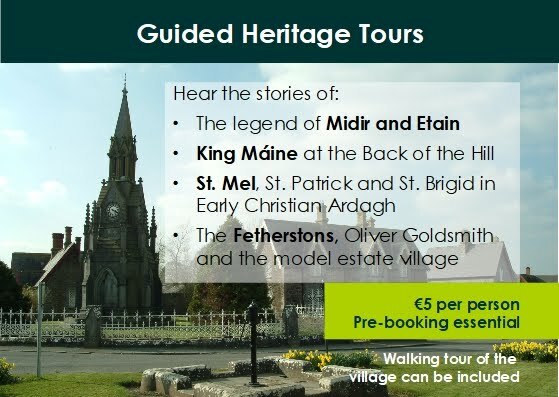 If you are interested in having a table at the fair the cost is €20 per table, pay on the day. Spaces are limited so booking is essential. We will provide free tea/coffee to all who have a table at the fair. The fair will be on from 12pm to 5pm and the Leprechaun and Fairy Hunt will be on from 3pm to 5pm, on Saturday 18th March 2017. 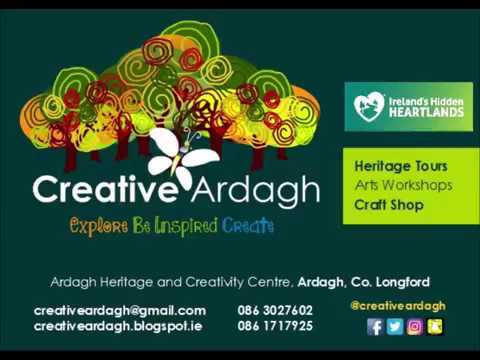 This year Creative Ardagh are celebrating "A year with the Fairies" so we would also like to offer spaces to anyone interested in giving workshops that are of a craft, artistic, magical or mythical nature during the event. As always, we are looking for more art and craft to sell in our shop, particularly those that suit the theme of Irish Myths and Magic but as long as you're local and they are handcrafted we are interested.